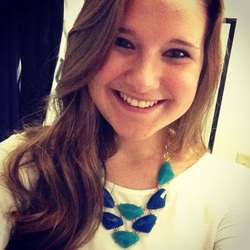 Emily is a Sophomore pre-teaching major hoping to be accepted into the NEAG Elementary Education program next year! She is so thrilled to become a part of the A Minor family and can't wait to get more involved! When she's not singing, she loves catching up on the latest episode of Pretty Little Liars and Modern Family, or drifting off to the heavenly sounds of the one and only, John Mayer.